Started as Picaboo, Snapchat is now one of the most popular image and video messaging applications across the globe. The main feature of this program is that any snap image or video will disappear by itself 10 seconds after the message was opened. And in case you take a screenshot to it, the sender will be notified stating that you took a screenshot of the snap that they sent. This is the exact reason why some users wish to screenshot Snapchat without notification. In capturing received snaps, you can always do the iOS/Android traditional way of pressing the “Home” + “Sleep” button to take screenshot. However, this will notify that sender that you have just taken a screenshot of his/her snap. In order to take screenshot photo and video messages without notification, then here are some efficient ways that you can utilize. If you are using devices that run on iOS, then you probably know how strict was Apple in allowing screen capturing program to be used in their devices. In this instance, looking for a program to take Snapchat screenshot without notification is quite hard to find. 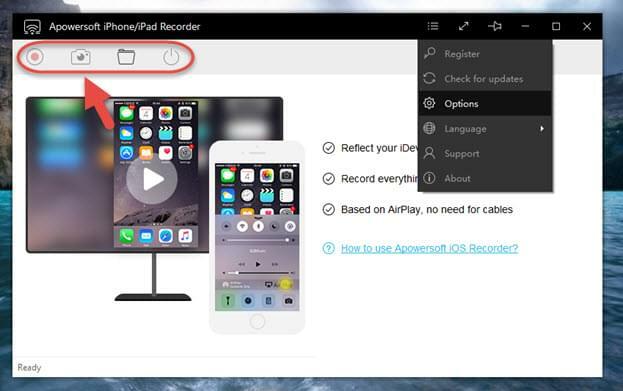 But, there is a new way to take screenshot on your iOS devices by means of AirPlay mirroring function through a program called Apowersoft iPhone/iPad Recorder. Using it, you can easily mirror your iPhone/iPad’s content into your screen, and then take screenshot of it with just one click, that easy. No need for jailbreaks and unauthorized mobile apps just to capture a received snap. Aside from taking screenshot, this app can also be used in recording gameplay, video chat conversations, and saving Snapchat videos as well. If you wish to play your favorite mobile games on a larger screen, then you can count on its mirroring function to suit your desires. For Android users, taking a secret Snapchat screenshot directly on your device requires applications such as the ones shown below. Just check these two possible tools and see which one suits your needs. This app is more of an alternative to Snapchat than a screen capture tool, but it is capable of pulling of Snaps without any notifications. With the help of Casper, users can save and forward Snaps in a stealth mode, add filters into your photos via media editor, and there are hundreds of thousands stickers that you can send to your friends. However, this app should be downloaded from its official site, instead download from Google play. Another way to Save Snapchat photos into your Android device is by using an app called Apowersoft Screenshot. This is a free screen capture tool that you can get from Google Play Store. Upon using this program, users can easily capture anything from their screen easily including photo and video Snaps. To do this trick, simply enable the overlay icon. And with this icon, users can take screenshot of any Snaps without any notifications. Aside from screen capturing, this app is also equipped with an image editor for cropping, adding annotations like lines, texts, arrows, mosaics and many more. After enhancing the image, you can then share it to various social media site instantly by utilizing the built-in share function which can be shown within the editor. If you are looking for a program that compatible with both Android and iOS devices, then ApowerMirror is the best choice. With slick user interface, it enables you to easily mirror phone screen to computer and take screenshots in PNG. 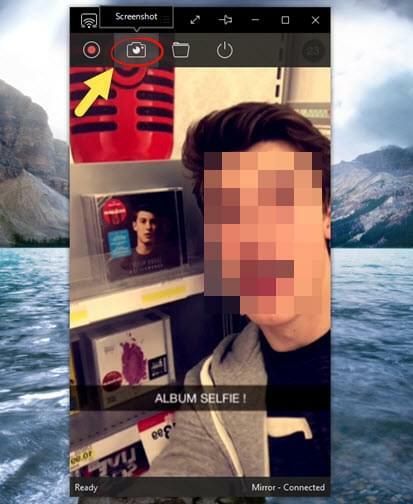 As a result, you can utilize it to view Snapchat photos on desktop and snapshot them without notification. 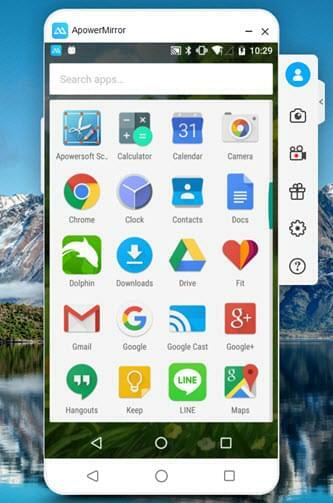 A real plus point of this application for Android users is the ability to control their Android screen straightly from PC. This is indeed useful especially when you’re busy working on desktop and don’t have time to frequently pick up your phone to check messages. To screenshot Snapchat on iOS using it, you can download the program from above and enable AirPlay for mirroring, then take screenshots. For Android users, you can check the guidance below. Also install the application from above and run it. Go to settings in your Android and turn on USB debugging, then use the cable to connect it with computer. After that, you can enable USB debugging and the app can be installed in your Android, or you can install it manually from below. Next, a window will pop up and ask for permission to start capturing on your screen, you can simply tap “START NOW”. Now your Android screen is already cast to computer. 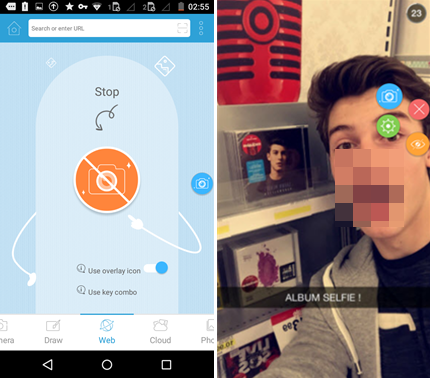 Navigate to Snapchat in Android and open the snaps that you want to save. Press the camera-like icon on the right-bar of the main interface on PC to take snapshot. Once it’s done, you can go to output folder to check the captured Snapchat images. 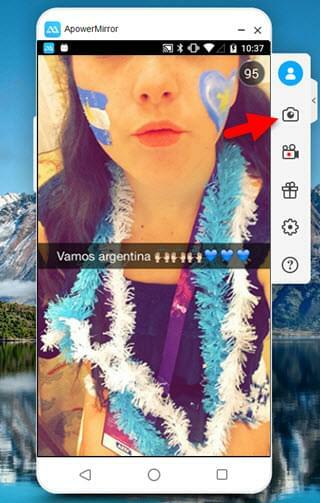 Now with these methods you can save Snapchat photos easily without letting the sender know. However, please keep in mind that each Snapchat users have their own privacy rights which must be respected at all times. So use those methods properly and never use it on illegal activities.